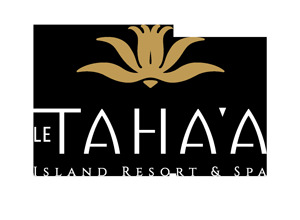 A memorable event, led by your Polynesian master of ceremony, featuring traditional dances and songs, a wedding gift and cocktails, transfer of the couple from an Overwater Suite to the resort's small motu. Our selection of Polynesian ceremonies ranges from the most intimate version to the most extravagant ones, and can all be tailor-made. Professional photography and video upon request. As a reminder, these outdoor experiences are subject to weather conditions and venues may be modified. Set in a nice and quiet area of our islet, enjoy a glamorous evening under the stars as a Polynesian duo serenades you through dinner. Set on the resort’s beautiful grouds, enjoy a romantic evening under the Tahitian sky. A local dance troupe will greet you with the ‘Pu’ (typical Polynesian welcome) and songs from the islands. After a short outrigger ride from the resort’s beach, drift into a world of culture and traditions as your Tahitian hosts initiate you to the art of opening and grating a coconut.